If you’re looking for another way to access Lynn Canyon Park you can try the old Pipe Bridge crossing. 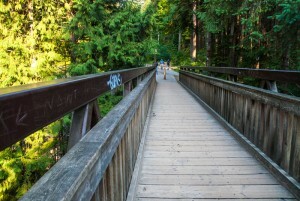 This bridge is located at the top of Lynn Valley road in North Vancouver. Bus #228 will take you all the way to the top, just get off near the End of the Line cafe. From the cafe walk a little further down Lynn Valley road towards Lynn Headwaters park but before the entrance turn down Rice Lake road on your right to find the Pipe Bridge. It’s best to walk as your car won’t make it very far. After crossing the bridge you can follow the trail to your right that leads into Lynn Canyon Park or continue straight up the hill to find the entrance to Rice Lake, the Demonstration Forest and another trail on the right that leads to Lynn Canyon Park. This bridge crosses Lynn Creek and is a little bit wider than the Suspension Bridge which gives you a much easier chance to stop and take in the view of the canyon below. You can also reach this bridge from the main park entrance. Just continue up the staircase on the trail at 30 Foot Pool and follow the trail at the top. Deep Cove in North Vancouver, BC is a quaint little village located at the end of Deep Cove road via Mt. Seymour Parkway. If you haven’t been out there yet it’s definitely worth the trip! 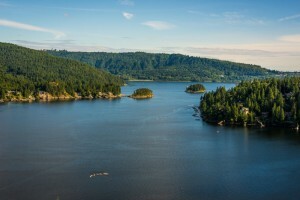 Deep Cove offers some fantastic outdoor activities the whole family can enjoy and one that shouldn’t be passed up is a day of Kayaking up the Indian Arm. If you haven’t been Kayaking before, taking a lesson is highly recommended or even a guided tour if you’re feeling adventurous but not sure where to go. 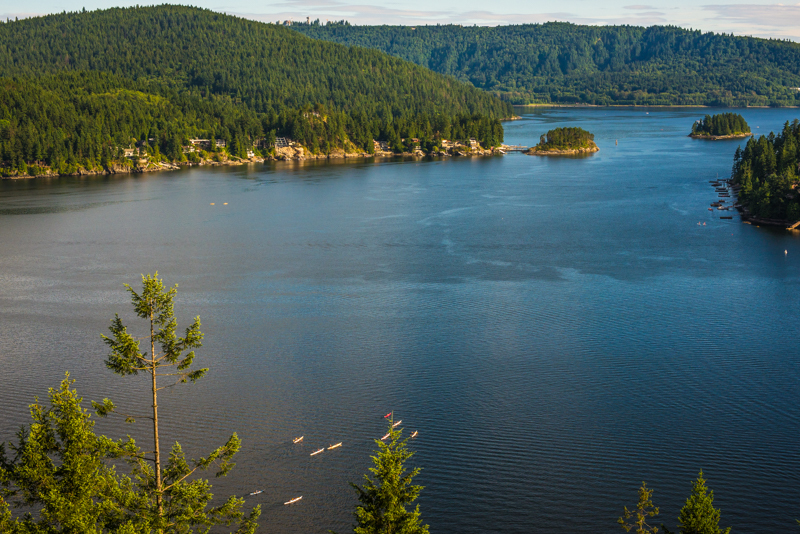 Kayak rentals, lessons and tours are available from Deep Cove Canoe & Kayak. If you have your own Kayak and gear then you’re well on your way as long as you can find a parking spot nearby. The public parking lots fill up fast so ensure you get there early in the day to ensure a spot. The summer months in Vancouver usually bring lots of sunshine which can at times hit temperatures in the mid 30’s (celsius). Finding shade during the middle of the day is the best way to keep cool and reduce the chance of getting a sunburn. A refreshing swim in ice cold water is also a great way to cool off. 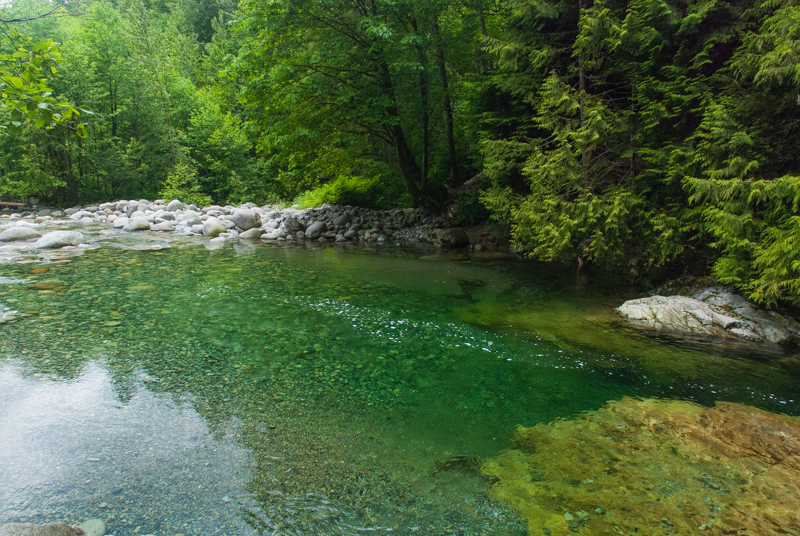 There’s a place that you can find both shade and cold water and it’s right in Lynn Valley’s backyard. 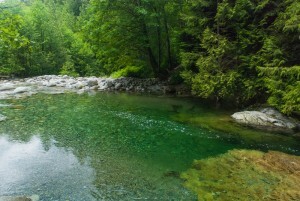 30 Foot Pool in Lynn Canyon Park is a very popular spot in North Vancouver to swim and sit in the shade on the rocks along the river. 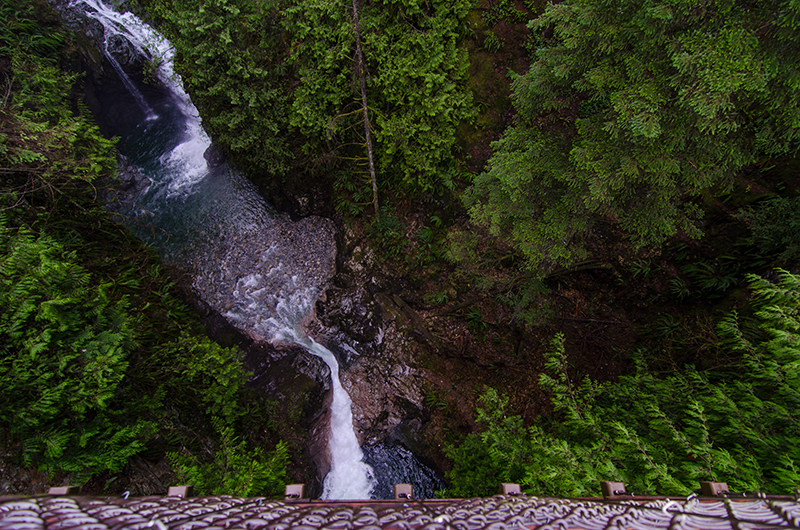 Lynn Canyon Park has some other great things to see but this is one of the top spots. 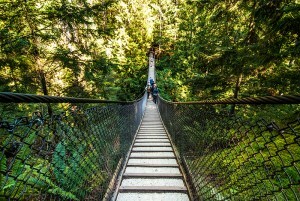 After arriving at Lynn Canyon Park cross the suspension bridge and take the first trail to the left. Continue along the trail that follows the river and after about 10 minutes you will arrive at the 30 Foot Pool. To fully experience nature at its finest, you have to scare yourself a little. 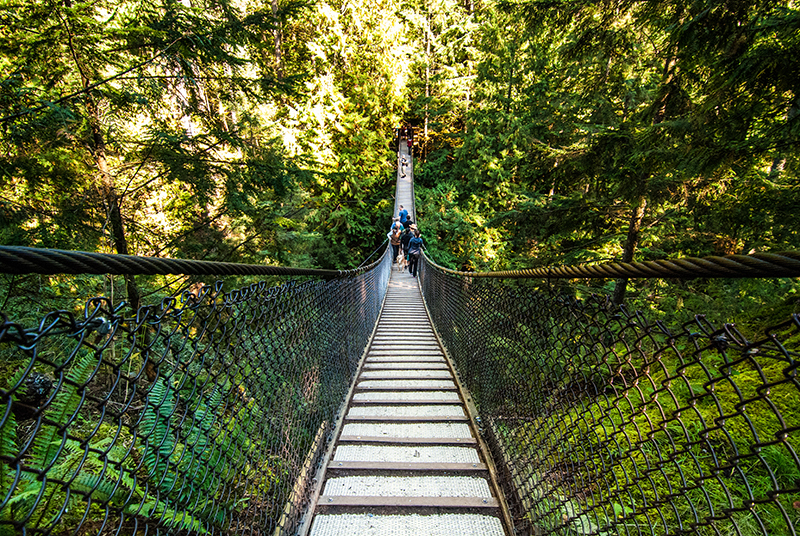 Lynn Canyon Suspension Bridge is the entrance to a vast network of trails leading in all directions across the North Shore. First things first though, you have to cross the bridge. Sometimes it’s a little hard to find parking; there are two lots, but my advice is to grab whatever spot you see first. Try not to run anyone over if you’re parking in the second lot. If you find parking in the first lot, wander past the ecology centre. Maybe stop and get a snack at the café in the Summer (it’s closed in the Winter). Walk along the steps down to the bridge, but be aware: you might have to wait in line. In the summer, the park is teeming with tourists and nature enthusiasts. While there are other ways to access the other side, the suspension bridge is the most exciting. Brace yourself. The feeling is amazing. Stop in the middle and take in the view if you dare. Once you’re done basking in your accomplishment, turn around and walk back.